HAYWARD — The Eden branch of the League of Women Voters Eden League will hold a candidate forum for the 20th Assembly District and the District 2 seat on the Alameda County Board of Supervisors on Wednesday, Oct. 3, from 6 to 9 p.m. at the Hayward City Hall Council Chambers, 777 B St., The Daily Review reports. 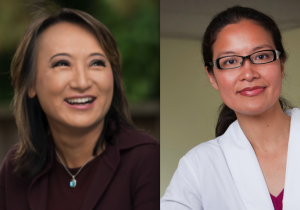 Two Democrats, former Hayward Councilmember Bill Quirk and Hayward optometrist Jennifer Ong, are running for the Assembly seat. The district includes Hayward, Union City, the northern part of Fremont, and the Castro Valley, San Lorenzo, Sunol, Ashland, Fairview and Cherryland unincorporated areas. The Board of Supervisors candidates are incumbent Richard Valle, Assemblymember Mary Hayashi, Union City Mayor Mark Green, and retired deputy sheriff Mark Turnquist. The district includes Hayward, Newark, Union City, and part of Fremont and Sunol.